to have any shaving or waxing done the day before tanning. 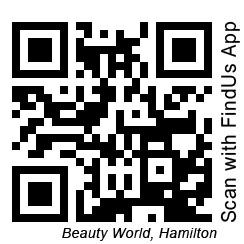 Dates: By appointment only, please phone Beauty World for dates and times available. Please note: Workshop fees must be made in full to guarantee your place in this workshop one week prior to workshop commencement dates. 48 Hours notice must be given to cancel or change any workshops. Please note: Without prior notice of cancellation a re-booking fee will incur of $50. Workshops at Beauty World will not be refunded without prior notice.